My preference for a backing is to use a wide fabric. 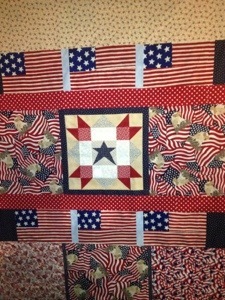 I looked at all my wide ones and didn’t have one that looks good with my patriotic row by row quilt, so……I decided to make a pieced backing for it. 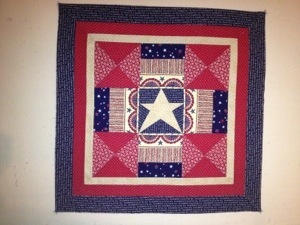 Here is the other block I made that year.